﻿ EURO 2012 » Cold war at EURO 2012? EURO 2012 > Euro 2012 > Cold war at EURO 2012? Cold war at EURO 2012? More and more politics, less and less sports. There is a real danger that European politicians will boycott the championships in Ukraine. Will EURO 2012 be the repetition from 1980 when West Europeans countries boycotted Olympic Games in Moscow due to the Soviet military intervention in Afghanistan? The president of Germany Joachim Gauck was the first to cancel his participation at matches in Ukraine within the framework of EURO 2012; after that Angela Merkel and her ministers announced boycott of the Ukrainian part of EURO. Ukrainian Foreign Office shakes fists and criticizes Germany for its alleged return to methods used during the cold war. Despite this, the President of the European Commission José Manuel Barroso declared however, that he wouldn’t visit Kiev. 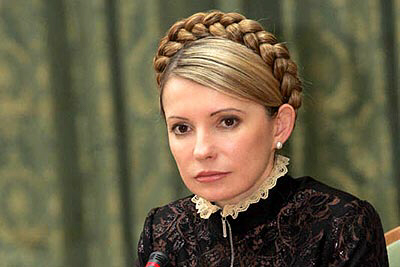 And all this jazz has been caused by a woman – Yulia Tymoshenko. Keeping the major political rival of the present Ukrainian President Victor Yanukovych behind bars has worried the West for a few months. It was the reason for not signing the association agreement with European Union, an event that should have taken place in the previous year within the framework of Polish UE Presidency. European politicians made attempts to put pressure on UEFA so that it would cancel matches to be played in Ukraine, but those attempts didn’t produce expected results. Last week there were some terrorist attacks in Ukraine; they can discourage those not numerous football fans who wanted to come and watch the matches. Due to exorbitant accommodation prices in Ukraine, matches by the Dnieper River don’t arouse much interest. Moreover, there is also the problem of Polish-Ukrainian border that is as well the border of EU. At present, if you want to cross the border, you have to wait on average for about three hours. It is unlikely that in June, taking into account intensified traffic, that waiting time will be shortened. I’m sure that according to Murphy’s law computers at border crossings will fail, as it usually happens on both sides of the border. In other words, unusual experiences are guaranteed. Ukrainian Foreign Office claims cynically that the West makes use of cold war methods; however, it is Kiev that, in cold war style, puts in prison representatives of opposition, restricts freedom of speech and commonly breaks human rights. 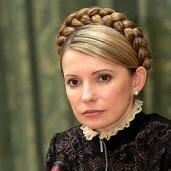 It is ironic that even Moscow has severely criticized beating Tymoshenko by prison wardens that took place a few days ago. Nevertheless, Ukrainian politicians are unaffected by those reactions, as they prepare for parliamentary election in autumn. They put everything at stake. This is the reason for determination in Tymoshenko’s imprisonment, at the cost of closer relations with EU and participation of Western politicians in matches organized during EURO 2012.
Who needs politicians in stadiums? politicians only took a part in politics….i think. Sorry to read these kind of news. Why politics have to influence such a sport event?